It's December, which means one thing.. time to whack out the festive candles! I can't be the only one who get's excited about that, right? A few weeks ago I went shopping with the mind set to pick out the perfect festive scents, and after trying to convince my poor boyfriend that I needed to buy a whole arms full of candles I managed to whittle it down to 3! The first one I picked I knew I had to have as soon as I smelt it. If you love the smell of home cooked treats, then 'Christmas Cookie' is definitely for you. The smell makes me feel hungry yet warm at the same time, so delicious. The next one I picked was a tricky choice, Yankee Candle offer a lot of choice in terms of traditional Christmas scents, but finally I settled on 'Red Apple Wreath'. It has a sweet aroma of apples and cinnamon. I went out with the intention of picking up 'Christmas Eve' but when I compared them both, it just smelt quite weak. I thought I was satisfied with my choices, until I came across 'Snow In Love'.. firstly, how adorable is the name! I wanted something that wouldn't be too overpowering in a room because sometimes I just like to have a nice subtle scent. This smells very light, fresh and calming. If you know any other candles that you think I'd love, let me know, I'm always keen to grow my candles collection! 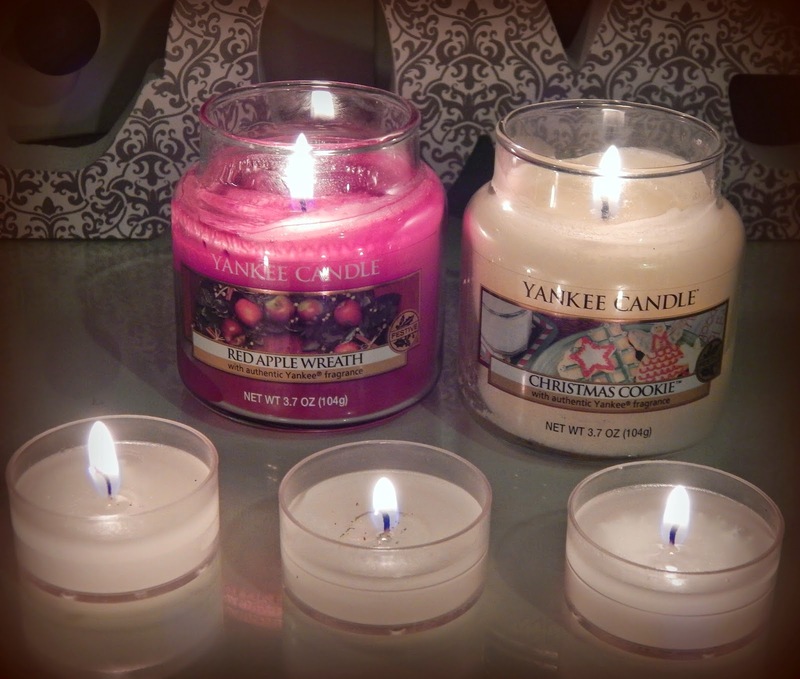 I love Yankee Candles, especially their christmas ones! Definitely need to get more this year!